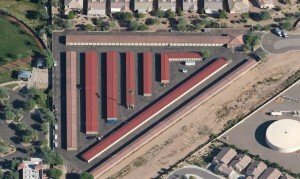 Jeff Gorden, CCIM of Eagle Commercial Realty Services sells Fortuna Road Storage Yuma, Arizona. 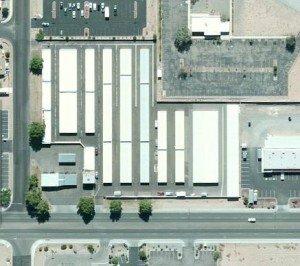 Eagle Commercial Realty Services, AMO is pleased to announce the sale of Fortuna Road Storage in Yuma, Arizona. Fortuna Road Storage represents the first sale of a self-storage facility in Yuma in eight years. The self-storage facility sold February 19, 2015 for $2,500,000 after a 24 day escrow to a local buyer who bested multiple offers. The property, located at 11707 S Fortuna Road, consists of 452 drive up storage units for 66,168 rentable SF on 3.85 acres. The property garnered attention from a nation-wide buyer pool but ultimately a local buyer won the deal. Buyer and Seller were both very pleased with the results and looking forward to new projects. Jeff Gorden, CCIM of Eagle Commercial Realty Services, AMO® in Phoenix, an Argus Self Storage Sales Network Affiliate, represented the seller of the property. The higher sale price is credited to the marketing platform and professional service that Argus Brokers provide to sellers of self-storage properties. Eagle Commercial Realty Services Announces Sale of Sure Storage in Surprise, AZFor more details, please contact Jeff at Eagle Commercial Realty Services. Eagle Commercial Realty Services, AMO is pleased to announce the sale of Sure Storage in Surprise, Arizona. The self storage facility sold February 23, 2015 for $3,500,000 after a 25 day escrow to an all cash buyer who bested multiple offers. The property, located at 14924 W Yorkshire Drive, consists of 465 drive up storage units for 69,000 rentable SF and 23 uncovered boat and vehicle parking spaces for an additional 5,200 rentable SF on 5.53 acres. For more details, please contact Jeff at Eagle Commercial Realty Services. Eagle Commercial Realty Services, AMO® has distinguished itself as a leading and trusted commercial real estate property management and brokerage firm in Arizona and Texas, providing its clients with personalized service and expert management. Backed by its strong commitment and in-depth experience in all phases of real estate investment, as an Accredited Management Organization (AMO®) through the Institute of Real Estate Management, Eagle Commercial subscribes to a higher standard of education, performance and ethics. POP QUIZ! — Commercial Real Estate Due DiligenceForever 21, Staples, Safeway and Amazon? Thank Seth for sharing your deals with us! When we think of storage, we think of Eagle! Good job.